Besides iPhone 5, iPad 3 is the most anticipated product. Here comes with top 10 most expected focuses of iPad 3 in the following. Take a look at it and see whether there is one feature you are looking for. It is quite possible that iPad 3 will adopt the same aluminum shell with iPhone 5 and iPod. But considering that Apple plans to make an improvement on its battery life, iPad 3 will not be thinner than iPad 2. As a revolutionary sonic technology, Siri has received hot attention since the launch of iPhone 4S. The market expects further perfect Siri language control technology so as to support Japanese, Chinese, Korean, Italian and Spanish when launching iPad 3. The Near Filed Communication technology makes shopping payment, digital content exchange and online simple with just a touch. It is reported that Apple software engineer have developed software that enables NFC support on iPhone 5. Apple iPad 3 users will be able to enjoy wireless payment and accessible online payment. iPad 2 release was not so satisfactory for it still adopted display with 1024 x768 resolution and 132 ppi. 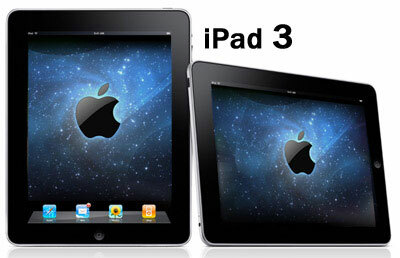 iPad 3 is expected to take the retina display with 2048×1536 resolution and up to 330 ppi by employing IGZO technology. Convert video to iPad 3 for enjoyment will be quite fantastic. It is possible that iPad 3 will be equipped with AMDA6 quad-core processor so that an accelerated operating speed will be guaranteed. In addition, it also takes the new chip management software into uses, supporting dual-core A5 iPhone/iPad chip as well as quad-core processor. New processor is expected to use 1.2 to 1.5 GHz A6 quad-core processor, with more than 1GB RAM. Compared to the previous Apple products, there is a great improvement on the battery of iPad 3 which aims to solve the most dissatisfied shot battery time problem. iPad 2 uses Li-Po 6930 mAh battery at present and iPad 3 will use 14,000 mAh battery in response to HD screen and quad-core processor electricity demand. As more and more users looking forward to more excellent transmission speed of 4 G technology, Qualcomm has developed thinner LTE chip set to solve the problem of Apple reportedly. But the new LTE chip set will only go public in the second or third quarter of 2012 which may delay the iPad 3 release. Apple has announced the plan to take facial recognition function as the main security measure of iOS devices and Apple have already applied for facial recognition technology patent. Consumers are expected to experience the new facial recognition security technology within iPad 3.
iOS 5 interface update will be conducted, carrying Notification Centre, iMessage, Newsstand, Reminders, Twitter, iCloud, Safari browser and PC free tool. There are as many as 200 functions included in iOS 5 exclusively designed for iPad, iPhone and iPod Touch. iPad 3 may adopts 5-million-pixel or 8-milion-pixel camera, equipped with LED light, supporting 1080p HD video shooting. How to convert Blu-ray movie to iPad? AS a matter of fact, AT&T has started to deploy LTE network in some cities and has fulfilled the acquisition of Qualcomm frequency spectrum assets. And AT&T will deploy LTE network in the United States in 2012. T-Mobile the United States will develop business via new partners. The company will get the spectrum resources from AT&T in the form of break-up fee. However, Deutsche Telecom may not sell T-Mobile the United States as expected, after all, the T-Mobile the United States is the most profitable project overseas. But the company may also have to improve its performance with Dish Network, and may have signed a joint marketing agreement with AT&T. Although the technology can achieve compatibility, big operators in United States will still insulate from each other for the reason that they want to fight for the market as well as highlight their quality of service. Because it will interfere with the GPS data, so the U.S. military won’t let LightSquare introduce wireless data services. LightSquare cannot make a smooth development unless to make sure that military facilities not suffer interference. In addition, civil GPS industry spreads lobbying so as to make the LightSquare hard to survive. In Africa, South Asia and the Middle East where smart phones are in great need but can’t afford to buy the iPhone, Nokia Windows Phone 7 smartphones will bear fruit. U.S. sales will improve, but not as good as the overseas market. By the end of 2012, Microsoft will open a large-scale promotion on Windows Phone 7. Although there are lots of rumours, Microsoft will not purchase Nokia. Apple will launch 7-inch iPad. 7-inch Amazon Kindle Fire achieves 1 million sales per week at present which indicates that the market exists apparently. Although Steve Jobs regarded this kind of product as death-upon-light, he was not there, and Apple executives have the ability to discern the present market situation. In addition, 7 inch is the perfect size for multiple tasks. Apple is expected to issue 7-inch iPad when launches iPad 3 in the first half year. Once the WiFi market reaches saturation, Amazon will add 3 G or 4 G function to Kindle Fire. But not like the original Kindle that provides unlimited amount of data package, it may offer the same package as iPad. Kindle Fire and Barnes & Noble Nook Tablet will drag down the price of 7-inch Tablet computer, hovers around $225 or so. Although Samsung and other tablet computer will try to keep the high-end product price, the price cut has assured. In fact, as the price pressure increased, Apple 7-inch tablet computer price is expected to be lower than the existing iPad. With the popularity of 4 G network, prices will go up, data cap will drop, and the use cost of smart phones will also increase. The WiFi service led by T-Mobile the United States will appear in other operators in the network, the most likely is Sprint Nextel. With the rise in 4 G charge, WiFi calling will be a better solution. Only simple setting on router can make it, although ISP (Internet service provider) will take responsive measures, but it will fail at last. Mobile operators will be surprised to find that there are more and more customers starting to use free WiFi, not 4 G network. It is believed that people are looking forward to the upcoming of iPad 3, with the expectation of better display screen, faster processor and more powerful battery life ability, etc. In the following there are a collection of iPad 3 rumors. It was highly anticipated even before the release of iPad 2, and now we believed that Apple will now let us down this time. The most exciting part in the update from iPad 1 to iPad 2 lies in the processor upgrade, so it is for sure that we can a faster iPad 3. It is reported that the battery endurance of iPad 3 will be two times of iPad 2, which of course marked as the essentials for supporting better display and faster processor. If the above three aspects with no problems, iPad 3 will be a little bit thicker than iPad 2.
iPhone 3G is sold at a reduced price after the debut of iPhone 3GS and iPhone 3GS is with the same rule after the release of iPhone 4. So it is reasonable that iPad 2 will lower its price when iPad 3 comes out. 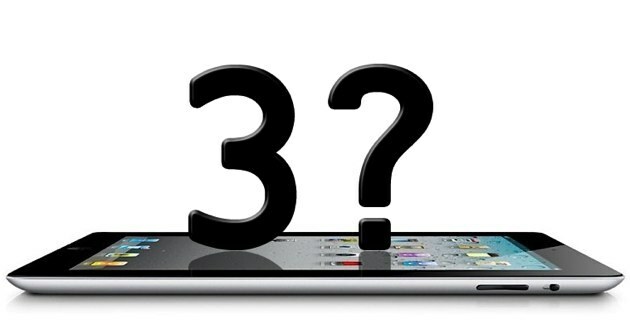 According to reports recently, iPad 3 will make a debut in February. And some reports even predicate the specific date on February 24, the birthday of Steve Jobs. The discussion on iPad mini never ceases. Maybe it will come to the public sometimes in the near future, but it is quite impossible that it will be released with iPad 3 at the same time. LTE network has its superiority, so Apple may take iPad 3 as an experiment by providing a LTE version, so as to make preparation for iPhone LTE version. There is also rumor that iPad 3 will have two modes, and the difference lies in that one is with 5-million-pixel camera and the other is with 8-million-pixel. Based on news from media, iPad 2 developed by Apple Inc will be released on Wednesday, American local time. Apple iPad 2 gives a heavy blow to its competitors either on price or on tablet configuration. According to the exclusive news from Wall Street Journal, iPad 2 release is scheduled on March 2. In the rest few hours, Apple fans all over the world go crazy about iPad 2 release. Statement from CNN said that Goldman analyst predicted this new iPad 2 will launch with a 10% reduction. However, the American Blog Businessinsider explained that iPad 2 is only a transitional product for iPad 3 release will be listed in autumn this year. And it is still a mist whether Jobs will be on the news conference or not, at the same time, there is grapevine said that Apple marketing vice president Phil Schiller will present on this news conference. 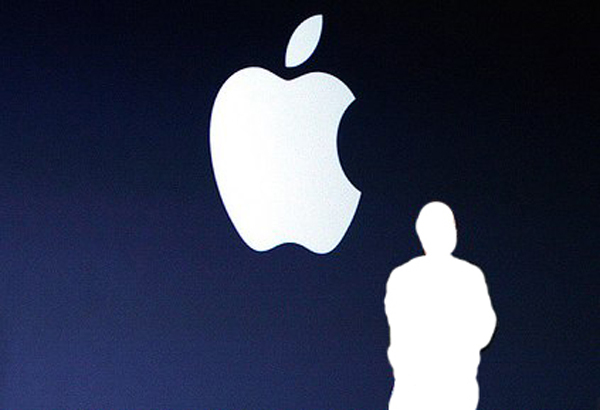 Jobs is impossible to attend the new product release for he has asked for a sick release. Instead, Apple marketing vice president will be at presence because during the last sick leave it was him served as the Apple representative to release iPhone 3GS. 2. The sub camera added and the rear camera is exclusive to a large extent. iPad 2 sub camera can support FaceTime video chat. Because rear camera has little significance on tablet computer so it is not sure whether iPad 2 has a rear camera. 3. The back side of iPad 2 with microphone added. It is said that the back side of iPad 2 will be equipped with a new function, a larger microphone maybe. 4. iPad 2 with a thinner body. Although iPad 2 has already with a lightweight body, since the debut of Amazon Kindle electronic reader people have got the real concept of thinness. Apple will try its outmost to make the second generation thinner than the first generation though it is impossible to make it as thin as a feather. 5. iPad 2 embraces with more powerful A5 chip. iPad and A4 chip make a public release simultaneously in last year. So it is with great possibility that along with the iPad release, A5 chip will be put into the market as well. It is a multi-core chip with faster speed. 6. iPad 2 with 10% price off. According to one of the Goldman analyst’s prediction, the retail price of iPad 2 will cut 10% which will bring the Apple competitors a devastating blow. Apple high executives air their opinions that they want to dominate the tablet computer market so cutting the price of this new iPad 2 will be the first and the important step. 7. Retina HD display is not inclusive. It is a controversial matter if Retina display will be on iPad 2 ever, but now it has been figured out that iPad 2 resolutions will be the same with iPad first generation. The next iPad generation iPad 3 will support Retina Display to a certain extent. 8. iPad 2 prevents reflection and suitable for beach reading. Apple is dedicated in developing the screen prevents light reflection and now it is with 60% possibility. 9. iPad 2 becomes digital wallet for supporting NFC. It is said that iPad 2 will support NFC technology so users can achieve online payment without using credit card on those stores support NFC system through iPad 2. The digital wallet idea has existed in the past few years and it walks to a new milestone until it wins the support from Apple. 10. Built-in compatible Verizon network chip, supports 3G wireless networks without wifi. In the past, if you want to use iPad within Verizon wireless network users have to employ wifi. iPad 2 is with built-in compatible Verizon network chip, therefore, without using wifi users can use Verizon 3G wireless network. 11. iPad 2 is only a transitional product, iPad 3 debuts in autumn. Compare to iPhone 3G, iPhone 3GS only with few upgraded features so it is rather possible that iPad 2 is only a transitional product and iPad 3 will be on the leading role. The reason for Apple to release iPad 2 is to crack down its competitors especially Android tablet. 12. iPad 2 will be on market shortly after the release. As to the specific issue time, it is predicted that Apple is going to put iPad 2 into the market 2 weeks after the official release for Apple must put pressure on its rivals. A few hours later, new product release new conference will be on and all the riddles will be announced one after another. If you want to get the latest information of iPad 2, focusing on here, guys!